What can be more important than knowing when to enter and when to exit in the stock market! 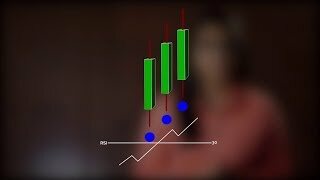 An online technical analysis course can help you master the techniques of doing intraday stock trading very efficiently. Given the volatile nature of capital markets in contemporary times, it is imperative to be equipped with every possible tool available to trade or invest successfully. 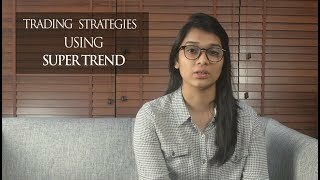 Technical Analysis is an effective methodology which, if understood well, can allow one to be in a comfort zone in every kind of environment, be it trading range or trending market. The subject, as we are aware, deals with the pricing and chart parameters of a given asset class, be it nifty index, equity, commodities or currencies. This course has been prepared after a very meticulous review of market behavior and volatility. 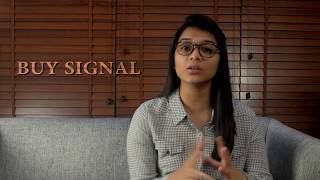 Students will learn the art of working in Intraday and Positional Trades, variety of techniques for understanding the market behavior and physiology of a normal Investor/Trader and how the stock markets react to this, with the help of charts. Average true range. Average true range (ATR) is a technical analysis volatility indicator originally developed by J. Welles Wilder, Jr. for commodities. The indicator does not provide an indication of price trend, simply the degree of price volatility. This is a tutorial regarding how to use it in stockedge app. 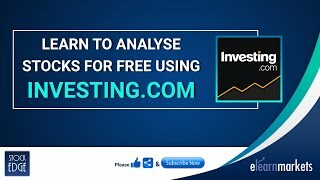 Investing.com is one of the best Stock Trading investment app for beginners and experts which delivers a wide range of asset classes with technical charts & quotes along with news and analysis to all the traders trading or investing in the stock market. https://www.investing.com/ offers portfolio, streaming charts, financial news, livestock market data and more. 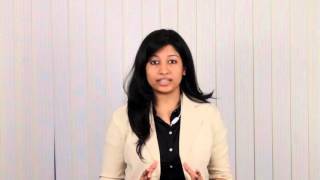 In this video, we have shown you how to analyze and find stocks using this useful website. This strategy basically comprises of Supertrend and 5-20 EMA crossover. It is believed that one of the common mistakes made by novices is that they “spend too much time trying to discover great entry strategies and not enough time on money and risk management”. 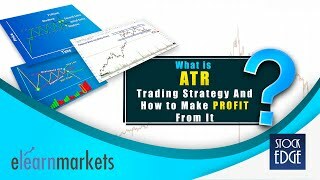 Below mentioned steps precisely guides how to effectively manage your trade or trading psychology. Always remember that “you must be willing to accept a certain level of risk, or else you will never pull the trigger”. What is Relative Strength Index in Stock Market? Relative strength Index ( RSI ) is a technical analysis indicator developed by J. Welles Wilder. It is a momentum indicator which measures the speed of the change in price movements. RSI oscillates between 0 to 100. Traditionally ranges for this banded indicator is 70-overbought zone and 30-oversold zone . Signals are also generated by identifying divergences , centre line crossovers and also trend analysis. What is Fibonacci in Technical Analysis? The Fibonacci series is one such tool which has stood its test of time in Technical Analysis. It is a popular tool based on key numbers and their sequence identified by mathematician Leonardo Fibonacci. Fibonacci Retracement is specifically used for determining the support and resistance levels. It is based on the idea that markets will retrace a predictable portion of a move. After that it will continue to move in it’s original direction. It is very simple to draw. Just draw a trend line between the high and low and then after dividing the vertical distance by the key Fibonacci ratios of 23.6%, 38.2%, 50%, 61.8% and 100%. Read the full article here: Why Fibonacci series is important for Technical Analysis? What is Gap Theory in Technical Analysis? Gap Theory in Technical analysis represents a price range at which (at the time it occurred) no shares changed hands. It is the unfilled space or area in the chart. It is produced when on a particular day a certain stock at its lowest price is traded higher, compared to its highest price at which it was traded on the preceding day. Support is price level below the current market price at which buying interest should be able to overcome selling pressure and thus keep the price from going any lower. Resistance is Price level above the current market price, at which selling pressure should be strong enough to overcome buying pressure and thus keep the price from going any higher. Check Technical Analysis course for better understanding. What is Dow Theory in Technical Analysis?